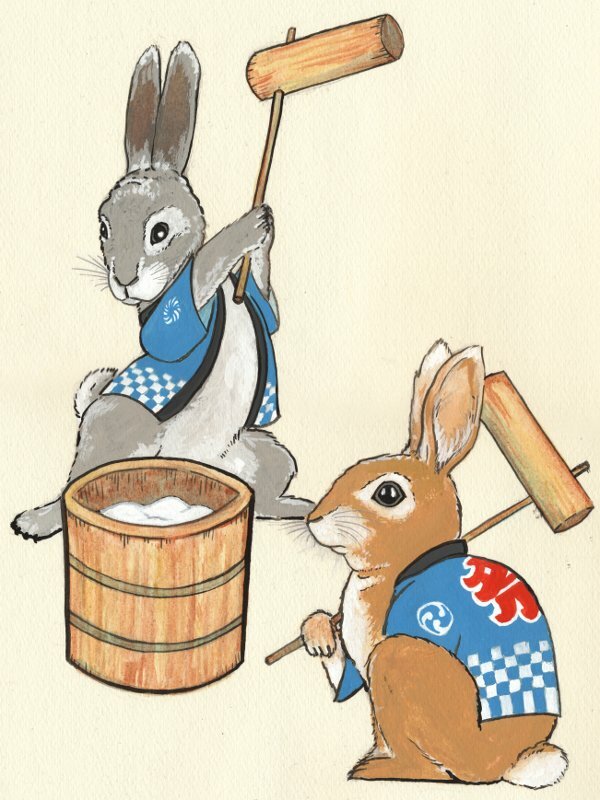 In any case, every holiday worth its salt is tied inextricably to something good to eat, and the Mid-Autumn Festival is no exception. Nothing can beat the roadside barbecues that were a traditional part of the festivities when I lived in Taiwan — squatting with friends next to a jury-rigged grill made from the rim of an old tire, a Tupperware full of marinated beef in one hand and a mosquito zapper in the other. But, short of those rollicking good times, there are always mooncakes: hefty pastries with a dense, sweet-bean-paste filling — beautiful lacquered boxes (or more-pedestrian tins) of them, given away to coworkers and kin, or plastic-wrapped singles, for you to enjoy by yourself over the course of several days. Many of the area’s Asian markets will carry big-name imported brands, but fortunately you don’t need to look any further than Oakland Chinatown to get a hold of a freshly baked version — many of the Chinese bakeries make them in-house this time of year. If you haven’t purchased mooncakes before, note that they come with several different fillings. Red bean paste is likely the most familiar to Westerners, but amber-hued white lotus seed paste is the most classic and — in my opinion — the most luxurious filling, with a fragrant and slightly caramelly sweetness. 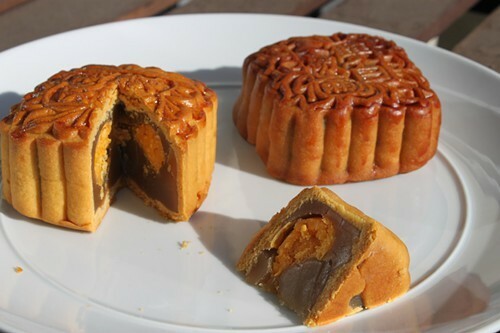 Each mooncake can also contain one or more salted-duck-egg yolks, which are said to be symbolic of the full moon and — more importantly — add an appealing salty-and-sweet dynamic. The ornate imprint on top of each cake will usually indicate (in Chinese) the type of filling and, sometimes, the name of the bakery. Any more than a single yolk inside and the mooncake will be square-shaped rather than round. Last week, I picked up double-yolk white lotus seed paste mooncakes from two different Chinatown bakeries, Wonder Food Bakery (340 9th St.) and Napoleon Super Bakery (810 Franklin St.), and thought both were quite tasty. Priced at $5, Wonder’s version was a dollar more expensive, but had the superior lotus seed paste filling — the Napoleon filling was somewhat drier and grainier. Then again, the pastry “crust” of Napoleon’s mooncake was a bit thinner and more delicate. Overall, it’s splitting hairs, and if you aren’t a connoisseur, the biggest difference might be this: Of the two bakeries, only Wonder Food had English signs labeling the different mooncakes. Napoleon had lower prices (and, consequently, longer lines), but the signs were all in Chinese — so you would need to explain what you want, or else bring a slip of paper with the characters written out: 雙黃白蓮蓉 (shuang huang bai lian rong). Are these two versions the very best you’ll find in Oakland? Not having had a chance to do a more thorough search, I’ll defer to any Chinatown old-timers who might be reading this. Post a comment below and let me know if you have a personal favorite. Finally, a word to the wise: Whatever you do, don’t pick the entire mooncake up and munch on it like it’s an oversized Fig Newton. The way to eat it is to cut it into thin wedges and serve with hot Chinese tea. One or two slices is all you’ll want at a time.